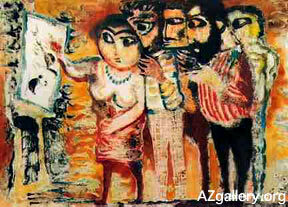 AZgallery - World Class Art from Azerbaijan! Discover the Little Known World of Art in Azerbaijan! Paintings and sculptures from the Soviet period which have seldom been seen in the international community. Also contemporary works created since Azerbaijan's independence in 1991.